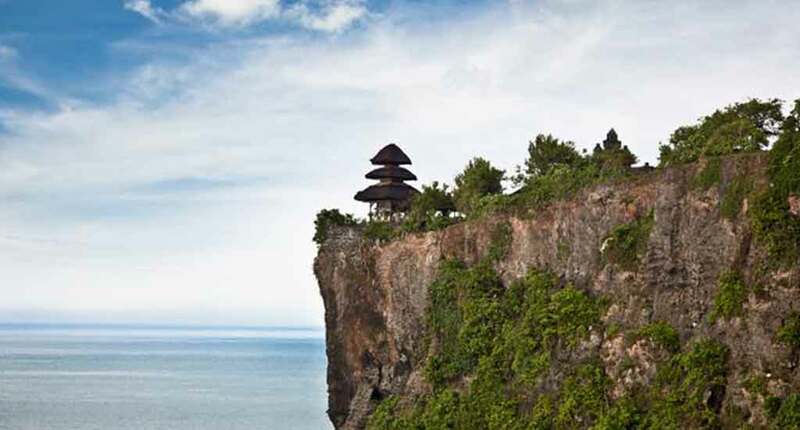 Uluwatu Temple, also known as Pura Luhur Uluwatu, is one of the six most important temples believed to be a ‘sad kahyangan jagad’ (“six sanctuaries of the world“). The temple is famous for its splendid location, perched on top of a steep cliff at a height of approximatively 70 meters above sea level. Some of the archaeological remains found here show that the temple is of megalithic origin, dating back as far back as the 10th century. 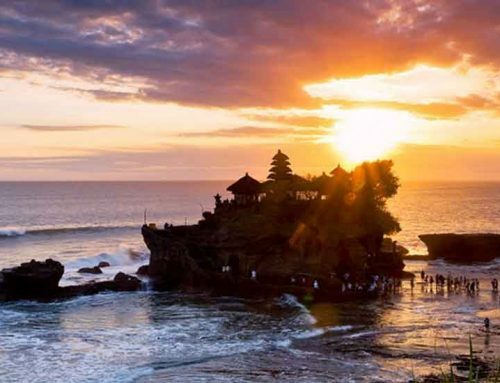 This sea temple also shares the sublime sunset views with the Tanah Lot Temple, another important sea temple which is set on the island’s western shores. Pura Luhur Uluwatu is one of the top spots on the island to catch the best views of the sun setting into the beautiful Indian Ocean. At the temple, daily Kecak dance performances are held. 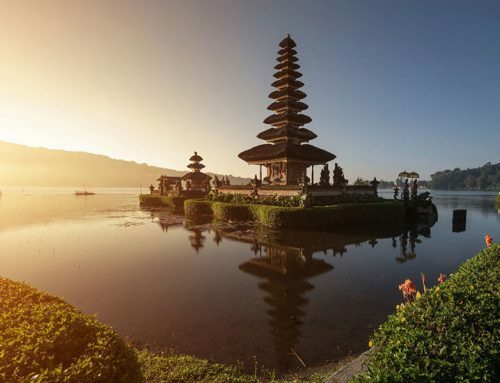 The Balinese architecture is something to marvel at, as the traditionally-designed gateways and ancient stone sculptures make Uluwatu Temple a truly unique site to behold. A 10th century one-piece winged stone gate takes you to the inside courtyard of Pura Uluwatu. Winged gates are not common in Bali. In the small forest that lies at the front of the temple live hundreds of macaque monkeys, who are very accustomed to interacting with visitors. They are thought to be guardians of the temple and ward off any evil spirits. Uluwatu Beach, just under the cliff, is one of Bali’s most frequented surfing spots. Avid surfers should not miss the opportunity to tame these waves. Every six months, according to the Balinese 210-day Pawukon calendar, grand temple anniversary celebrations take place at the temple. The royal family of Jro Kuta from Denpasar, are the temple’s keepers and are also the patrons of the event. Uluwatu Temple is one of the spiritual pillars of Bali, that offers a dramatic view from the side of the steep hill it has been built into. 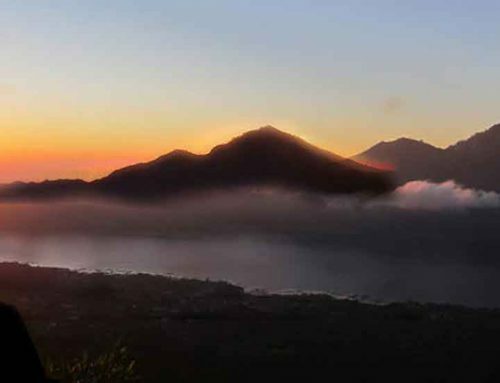 Click here to see the best resorts nearby.